Have you ever wondered if you could be investing your money differently especially in real estate? 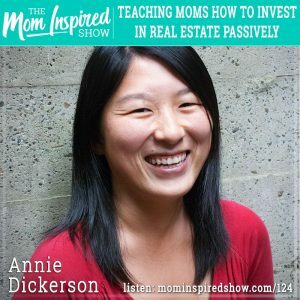 Today we have Annie Dickerson on the show and we talk all about real estate investing. She shares with us her journey when she bought her first home and rented out part of the home to make rental income and how she was then hooked with real estate investing! She explains how she now has multiple houses out of state and the pros and cons of doing real estate investing that way. One topic that really stood out to me was when she shared with us how passive real estate investing looks like. How easy it can be to do and why its way less time consuming then the traditional real estate investing. One story that stood out to me is when she told us that one of her tenants didn’t pay the rent and then plugged all the drains and flooded the house. Hear what she says about this topic and more on the podcast. Click on the link below to get $20 off Amanda’s program and get ready to kick that slow metabolism into HIGH gear! Gainful Growth is a step-by-step system to help you start a profitable business. Do you want to know which idea to pursue? Do you want to know if your idea will work? Do you want to make sure you don’t waste any time, money, or energy? Do you want to know if you’ll be successful? Gainful Growth has you covered! Note: This page contains some affiliate links. If you click on them and make a purchase, we’ll receive a small commission — at no additional cost to you!